YouTube, the video-sharing network by Google, is rated as the second most popular website in the world with over 1.8 billion monthly visitors who view, upload, rate and share videos with other users. At a time when TV views are diminishing in favour of the internet, YouTube is a prominent platform for marketers who would like to reach these highly engaged users and present them with video ads. Up until recently, many marketers used YouTube advertising mostly to gain brand exposure and raise awareness for their products and services, by exposing video ads to wide audiences and thus reaching masses of users, while focusing mainly on metrics such as audience reach and engagement. Marketers who aimed for performance actions such as leads, registrations and purchases usually focused their resources on the Google Search and Display networks, which included more focused targeting. Recently, Google introduced “YouTube for Performance”, enabling a more accurate targeting resolution with a more encouraging ad format, allowing marketers to reach more relevant and engaged audiences when using YouTube ads. New performance metrics now highlight a broader range of audience insights to measure the activity, and new targeting methods are taking the lead. Google introduced the new TrueView for Action ad format, which aims to encourage users to explore the product and complete a valuable desired action as a direct response objective (i.e. purchase or registration). Google TrueView ads aim to help win the audience’s attention and provide an easier way to take action. 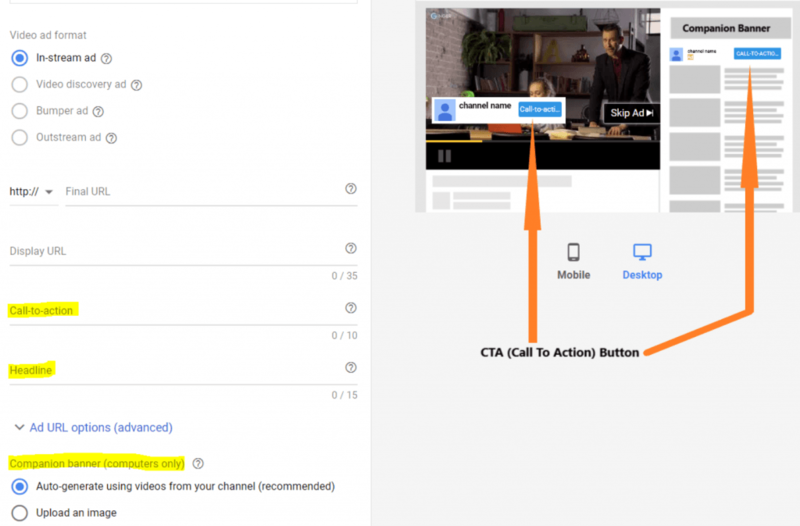 With this new feature, marketers can customize a CTA (call-to-action) overlay that will be available to users throughout the duration of the video ad and direct them to the marketer’s site, where they can complete the desired action. Also, the new format includes a companion banner that appears alongside the video ad and even after the video ends, enabling the user to reach the marketer’s site with greater ease. The TrueView for Action campaigns are automatically set with cost-per-action (CPA) targeting, meaning that Google encourages marketers to look beyond their traditional data and review their performance metrics in order to analyze their data to the fullest. The payment method is another advantage – instead of paying per impression (CPM), advertisers only pay when a user completes an “engaged view” (watches a video for at least 30 seconds or watches a full shorter video) or engages with the video interactions. Google has imported this powerful feature from the Google Display Network (GDN), enabling marketers to use Google’s data from users signed into their Google accounts. 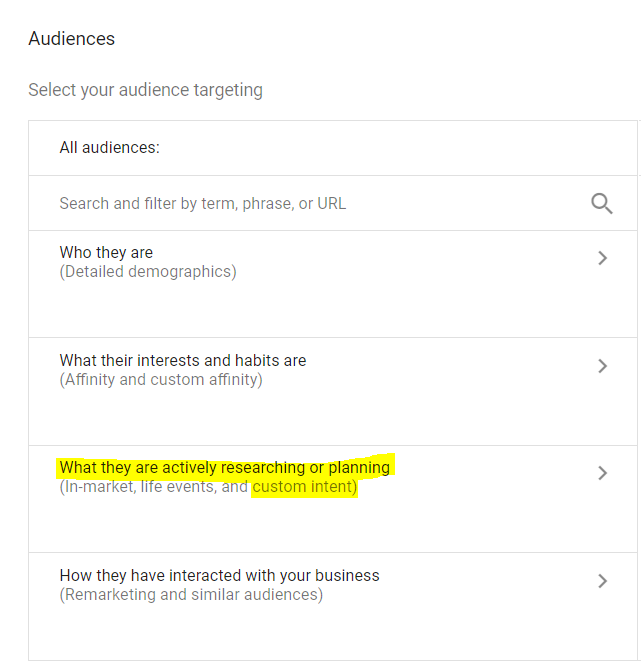 The YouTube Custom Intent Audience feature enables marketers to target users based on their specific Google searches, present them with contextually relevant ads and tell their story in a more engaging way (as opposed to broadening the marketing message when targeting a wider audience). “Auto-Created” – created automatically by Google’s machine learning algorithm, using different signals from the users’ Google accounts (Google Maps, Google Play, Google Search Engine, etc.). “Custom Built” – manually defining an audience using search terms and placements. This powerful direct-response feature allows marketers to create a campaign and input specific keywords that relate to their product or service and reach users with a proven search intent regarding these keywords, using video ads. Being able to target different groups of users benefits marketers also in terms of different creative ads. For example, presenting the more engaged users with more “advanced” ads that showcase new features and updates in the product, while presenting new users with more “generic” ads that provide an initial introduction to the product. What are the best practices regarding Custom Intent Audience? The new feature is available only in the new AdWords Experience. YouTube Video Ads, unsurprisingly, can use video ads only. Note that the keywords you implement are treated by Google AdWords’ algorithm as broad-match keywords. Google recommends using the Custom Intent Audience feature together with the TrueView for Action feature, using tCPA (Target Cost Per Action) bidding. In order to use the CPA targeting, implement conversion tracking to a conversion that will reflect your goals (such as registration or purchase). When using tCPA bidding, set a realistic bid target and try to avoid making frequent big changes, in order to allow the algorithm a sufficient learning period. Google recommends implementing a minimum of 50 keywords per ad group, starting from keywords used on the Search network. Consider taking View-Through conversions into account, in order to review the full performance value. With these new features, Google is shifting YouTube to become a performance-first advertising channel. The new “YouTube for Performance” features allow marketers to define and reach the ideal audience for their business and to encounter more relevant users with targeted creative content while they’re making purchasing decisions. This should also provide more elaborate performance data and improve the ongoing optimization process. In many cases, YouTube is an important channel for users to establish their purchase decision. This is a central channel for users to perform their market survey in order to learn about a product or service, or just search for ideas about what to buy. Up until now, the Google Search channel was the main gateway for actual purchasing – but with the new performance features, we expect to see users’ attention being converted more and more into action on YouTube. 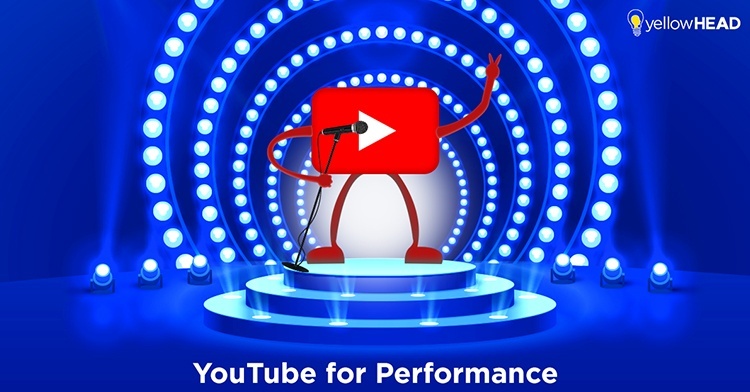 Since YouTube is rebirthing as a performance channel these days, it is still not saturated with the new performance ads, meaning that now is the best time to jump onboard the “YouTube for Performance” train, build a quality content channel for your products or services, and take it to full effect using the new features. For more information, check out the following resources and/or contact our Google team.